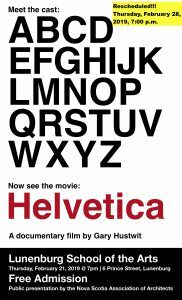 ‘Helvetica’, Thursday, February 28th, 7:00 p.m.
‘Helvetica’ has been rescheduled to Thursday, February 28, 2019, 7:00 p.m.
A documentary film by Gary Hustwit. NSAA Lecture Series is a collaboration between Lunenburg School of the Arts and the Nova Scotia Association of Architects (South Shore Chapter). 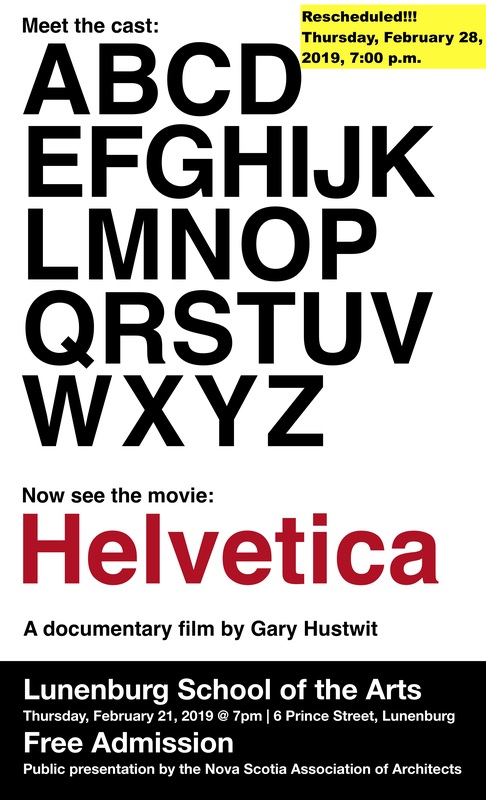 The series is presented the third Thursday of each month.